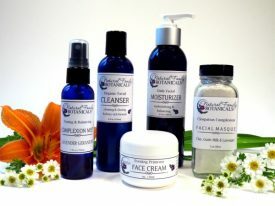 Create your own Natural Skin Care Basket - We Will Ship It For You! 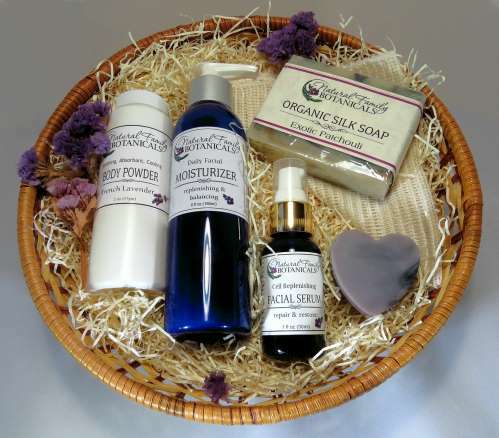 Create a unique, one of a kind, natural skin care gift basket. 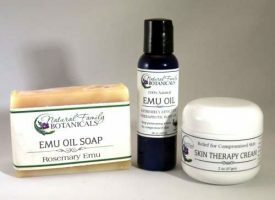 We will put your choice of products in a basket, add a couple accent essentials and professionally wrap and decorat it…plus ship it for you, too! 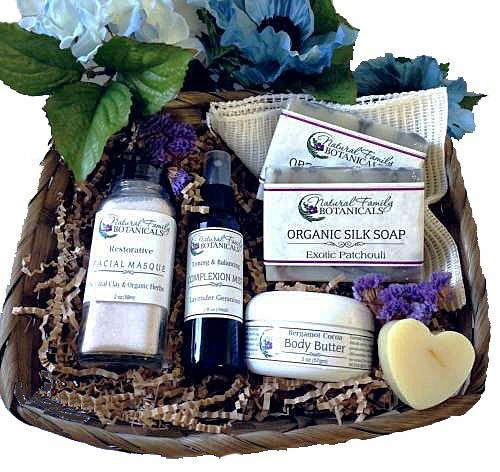 To order a customized personal gift basket click the “Add To Cart” button above then shop our site and add to your cart each product that you would like us to put into your gift basket. We will put them together in a basket or organza bag and create for you a beautifully decorated and unique gift! 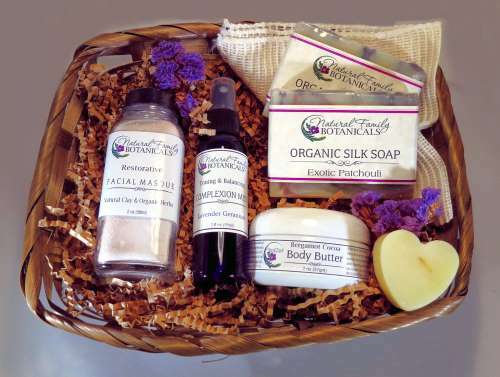 If you want help deciding what to put in a gift basket please contact us for ideas. (use form below). We will include in your custom gift basket 2 special surprise accent items (such as a nylon pouf, washcloth, guest size soap, etc.) and will be professionally shrink wrapped, decorated and include a gift card with your personal message. 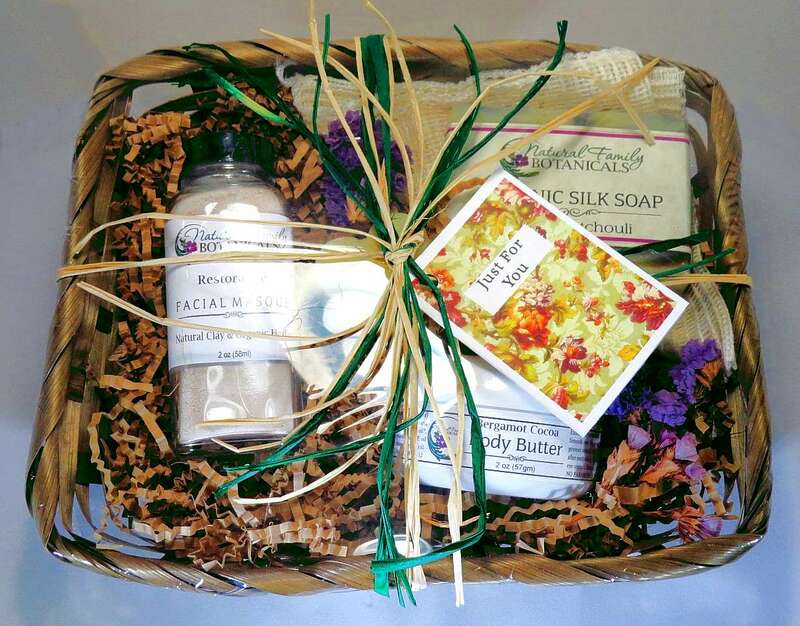 We can ship the basket to you or directly to your special gift recipient. 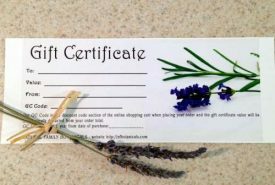 Gift card messages – We will include a gift card and hand write your personal note on it. 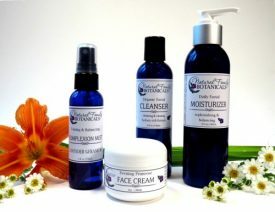 This will be attached to the gift basket so that the recipient will know right away who is thinking of them! In the comments section on your order form please type your personal message exactly as you would like it written on the gift card. Decoration Style – Please let us know if you would like the basket decorated for a man, woman, child, or gender neutral. 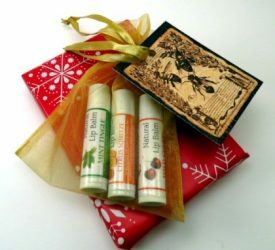 Shipping – We will ship directly to your gift recipient if you desire. Put their address in the “Ship To” section of your order form. Regular shipping charges will apply. We will email you the delivery confirmation tracking number upon shipping so you can keep track of your gifts delivery. Your invoice will NOT be included in the gift basket box. This means that your gift recipient will not know who is sending them a gift unless you specify to us what to write in their gift card. We have baskets and bags in several sizes (we pick) to fit any amount of products you want to have in them.